Greetings Guinea Pigs! 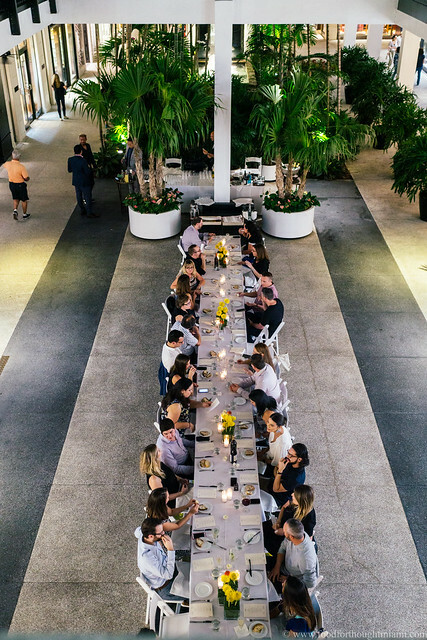 We know it's a long way away, but we've got a pre-sale opportunity for you for our upcoming dinner in collaboration with the South Beach Wine and Food Festival. This will be our fourth collaboration with SOBEWFF, and we are very excited about the lineup - but in Cobaya tradition, we're going to be doing this pre-sale blind. (If you're interested, email us and we'll give some very oblique hints and see if anyone can guess the chefs). The dinner is going to be Thursday February 21, 2019 with a 7pm start time. Tickets do not officially go on sale until October 8, 2018 but we're able to offer Cobaya members the chance to buy seats early. Even better, we're able to offer you a discount! Regular pricing for the $250 per seat tickets, inclusive of sales tax and processing fees, would be a total of $278.50. But if you purchase now through this pre-sale, Cobaya members will pay only $249.00. Plus, you'll assure yourself of a spot. There will be no lottery for these seats - it's first come, first served. Note that unlike our usual events, the SOBEWFF dinner is inclusive of wine pairing. This pre-sale opportunity expires Monday September 24. The chefs will be revealed September 25, and if seats remain you'll have a chance to buy at the regular pricing on October 8. In order to match up the seats, we do ask that when you purchase, please send us an email to reserve@cobaya.miami confirming your purchase, and giving us your full name and the email address for us to send you tickets when they are issued. For tradition's sake, a brief, but important, refresher course on the whole Cobaya thing: there is no "menu." There are no choices. You'll be eating what the chef chooses to make for the night. If you have food related allergies, strict dietary requirements, religious restrictions; are salt sensitive, vegetarian, pescatarian, or vegan; don't like your meat cooked medium rare, or are pregnant: this meal is probably not for you. Do not expect white-glove service. Don't ask for your sauce on the side. Just come and enjoy.